Please note: if this is an emergency, please do not use this form! Call (850) 893-3047 to have your pet to be seen as soon as possible! In order to view or print some of these forms you will need Adobe® Reader® or another Portable Document Format reader installed. New clients should arrive a few minutes before the appointment time to establish a record for you and your pet. Bring a copy of your pets’ medical records if possible. You are welcome to contact us before the appointment with the name of your previous veterinarian and we will be happy to call and have your pet's records emailed prior to your visit. Please submit the New Client Information Form using the link below.. If your first visit includes boarding, please print and complete the Boarding Form and bring it with you. Please review our boarding policy to avoid any confusion. We will collect your information and create your medical record. A veterinary technician will examine your pets wellness history, collect any needed samples and discuss current Wellness Recommendations. 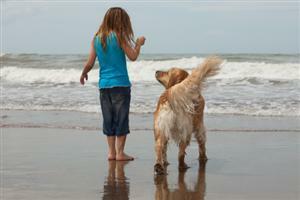 The veterinarian will perform a physical exam of your pet and perform any needed medical procedures. A Client Services Professional will dispense any medications, give further instructions or supply other information that might be needed. Please fill out and submit the form below. We look forward to meeting you and your pet! Please review our boarding policy. Please note: if this is an emergency, please do not use this link! Please call 850.893.3047 to schedule your pet to be seen as soon as possible! We have upgraded your Pet Health Records! Access your records online or through our Mobile App! You will need to sign up before logging in. Use your email address as your username. 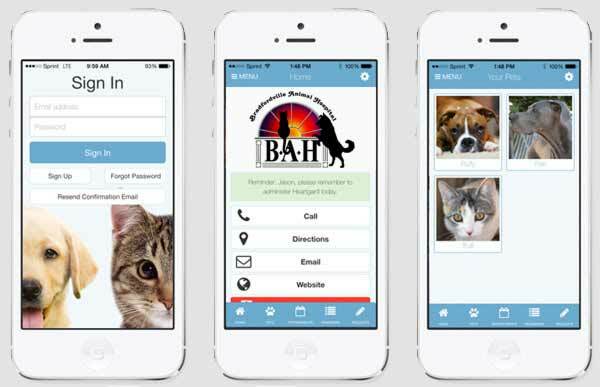 You can also access your upgraded pet health records without a smart phone by clicking here! You will need to sign up before logging in. Use your email address aos your username. Please don't hesitate to call us if you have any questions! These questionnaires will help us develop healthy pet program that fits your pet's individual lifestyle. If you need records sent to a boarding facility, specialist, new veterinarian or would like a copy for your records, please email this form to us at staff@BradfordvilleAnimalHospital.com.